Everyone loves John Hughes. That’s just a bona-fide fact. The legendary Chicagoan was the creator of some of the sweetest, funniest and most endearing films in movie history. This week marks the 30th anniversary of the release of The Breakfast Club, which is widely regarded to be his greatest film. To celebrate this momentous occasion, the ultimate John Hughes mash-up trailer was created, which any self-respecting movie fan should instantly watch. Like, right now. Hasn’t everyone’s Friday just got umpteen times better? Thought so. This majestic montage created by Fandango incorporates clips from the likes of Weird Science, Ferris Bueller’s Day Off, The Breakfast Club, Pretty In Pink, Sixteen Candles, Home Alone and Planes, Trains and Automobiles sumptuously. In fact, I’m going to watch it again immediately. I’ve it before and I’ll say it again, life moves pretty fast. If you don’t stop and look around once in a while, you’ll miss it. Admit it, that’s how each and everyone of us should live our lives. 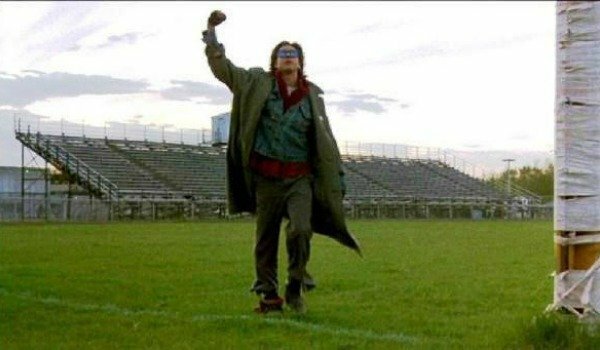 And the other moment from Fandango’s delightful amalgamation and celebration of John Hughes’ work is the final shot from The Breakfast Club. And even though, I’m assuming, that each of us has seen it dozens of time before, let’s just take another look at the film’s final moment again, and breathe it in in all of its glory. Never has a single raising of a fist meant so much to so many people. Heck, it even made Simple Minds cool. And I think we can all agree that Simple Minds really aren’t that cool. Unfortunately, John Hughes passed away in August, 2009. And even though he hadn’t written and directed a film since 1991’s Curly Sue, the cinematic world was still shaken to its very core by his untimely passing. That’s because his films were not only truly affecting, but they also perfectly blended drama, comedy and romance in a realistic and homely fashion that resonated with a wide audience. Yes, they were a tad simplistic, but their idealism and subtlety shined through to make an unbridled impression. Simply put, the man was a genius. And I’m guessing I won’t be the only one re-watching The Breakfast Club this weekend in his honor.